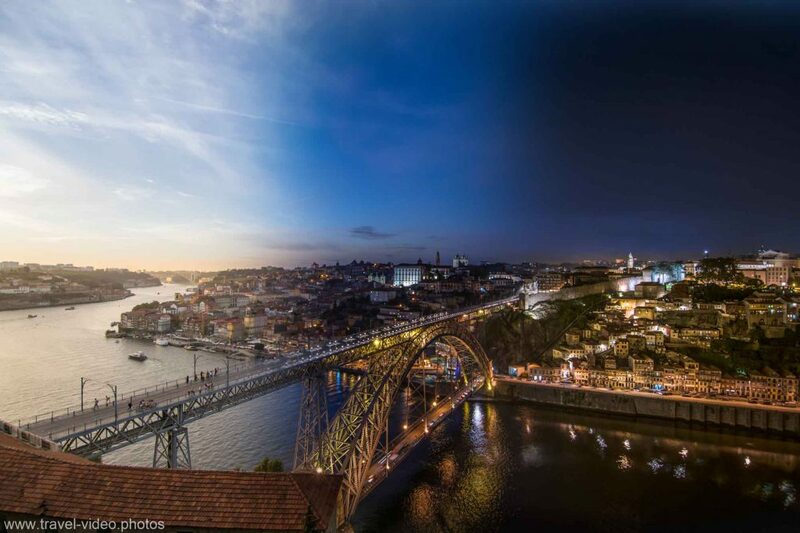 The Day to Night, Time-Lapse or TimeORama photography completes a complete day-out in a single image.My photo mate Christian has invented the procedure spontaneously. After some research on the Internet we came across the artist Stephen Wilkes, who had invented the process before, and designed really impressive pictures with it. Stephen calls the procedure Day To Night Photography. 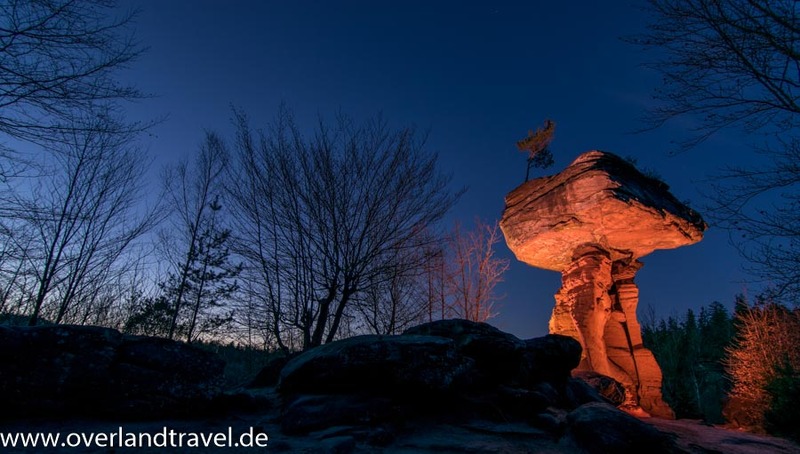 Timelapse or TimeORama (Timelapse & Panorama ) photography also describes it quite vividly. Here is my current favorite TimeORama. 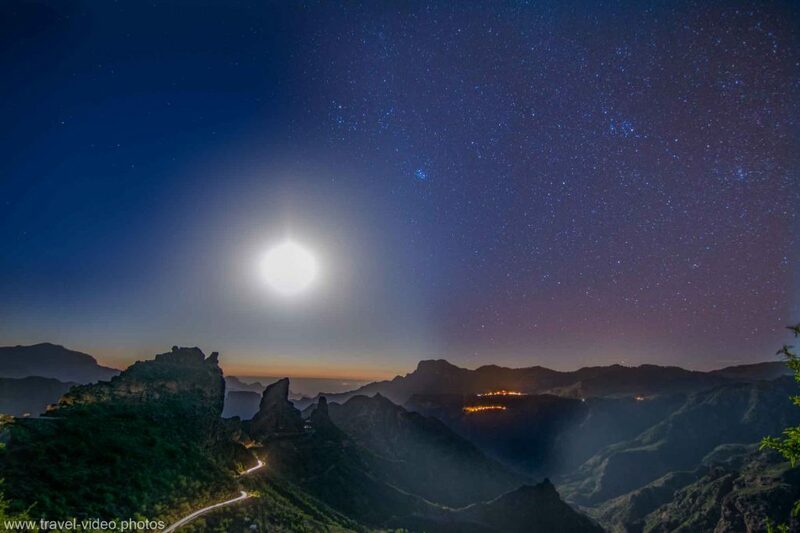 Recorded at a time lapse session on Gran Canaria near the Roque Bentayga at sunset. View towards Tenerife in the caldera. 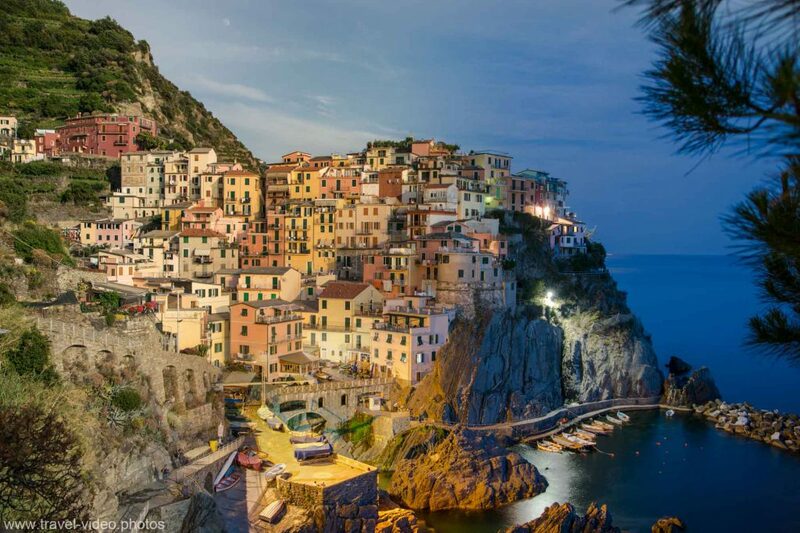 View of Manarola, Italy, Cinque Terre. 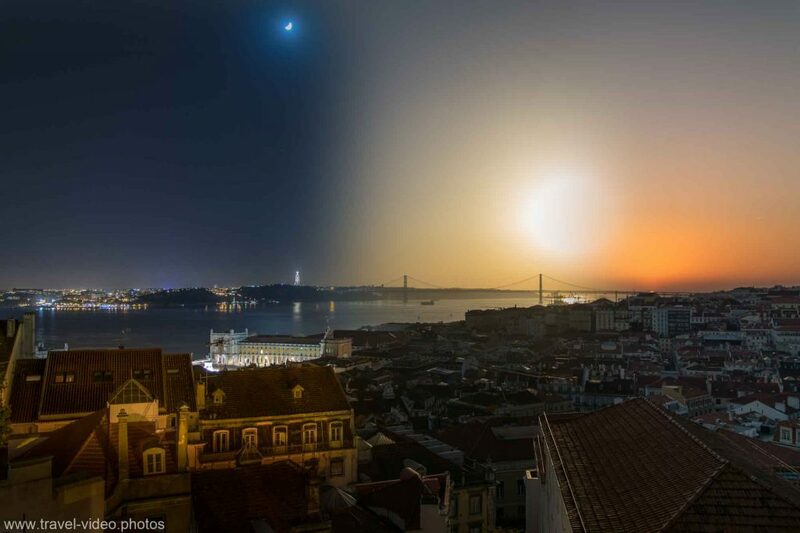 Left sunshine, in the middle sunset and right at night. The processing of the individual (at least two) images takes place eg in Photoshop. You put the last picture of the series in the background, over the sunset, and above it the picture with sunshine. The latter layer is disabled, and we erase or mask all the parts you want to get from the night image from the sunset image. Then you activate the layer with the sunshine and remove the part you want to get from the sunset and the stars. One of my favorite motifs, the Dom Luis bridge in Porto, Portugal. The time course can also be recognized by the illumination of the bridge. 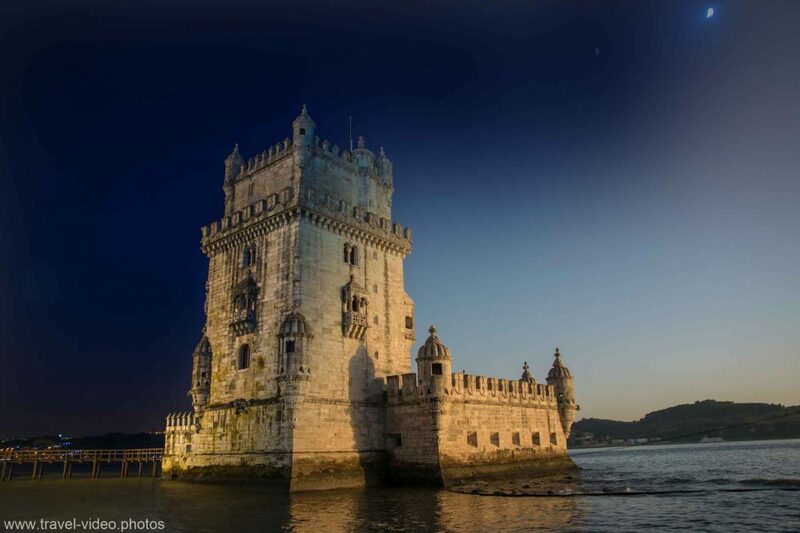 Portugal is a great country for time-lapse, here the famous Belem Tower in Lisbon.Sunshine and moon in a picture. 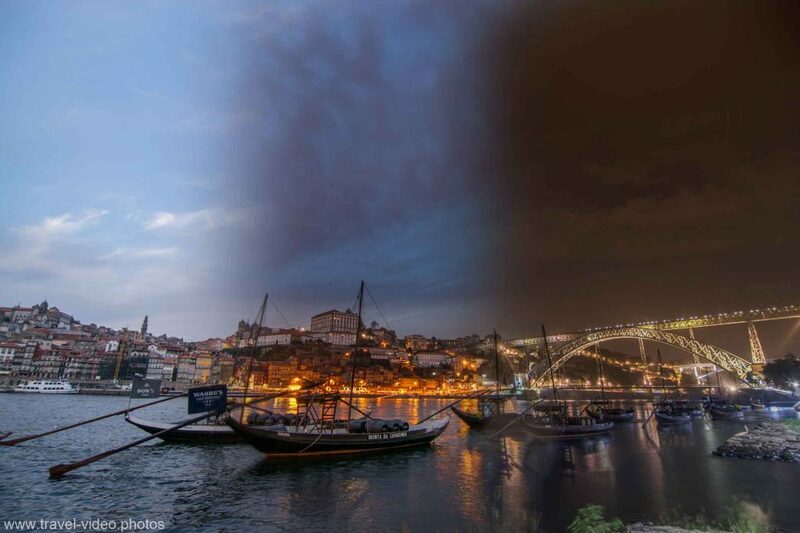 Here is the time-lapse video of Portugal. Whoever looks closely will recognize some sequences.